October 1, The Iran Project – Several Iranian officials expressed optimism over their copious work with Europe for doing business with Iran, despite attempts by the United States to obstruct such cooperation. On Saturday (Sep. 29), The New York Times Quoted Iran’s Foreign Minister Javad Zarif as saying that Tehran was closing in on an agreement to sell oil to European nations despite American threats of sanctions against any countries that do business with Iran. The top Iranian diplomat made the remarks during an hour-long conversation with reporters in New York, where he traveled to attend the 73rd session of the UN General Assembly. NYT wrote that if the arrangement comes to fruition — some British and French officials say they have their doubts — it would constitute the most open break between President Trump and European allies that objected vociferously to his decision to pull out of the 2015 nuclear deal. “Mr. Zarif is capitalizing on a renewed enthusiasm among some of the allies to push back at what they term bullying by Washington to sever ties with Iran simply because Mr. Trump decided to forsake the nuclear pact. All the other signatories to the agreement — Britain, China, France, Germany, Iran and Russia — have vowed to stand by it,” the American paper added. In a major snub to the United States, the European Union decided to set up a new mechanism to enable legal trade with Iran without encountering US sanctions. Federica Mogherini, the EU foreign policy chief, said the bloc’s initiative to facilitate payment to/from Iran as part of efforts to save the 2015 nuclear deal could be in place before November, when the US is to re-impose the second batch of its anti-Iran sanctions. “No sovereign country or organization can accept that somebody else decides with whom you are allowed to do trade with,” Mogherini stated this past week. On Monday (Oct. 1), Islamic Republic’s Foreign Ministry spokesman said that Iran and Europe are getting close to a special mechanism, adding that the US attempts for impeding any achievement is doomed to failure as a result of ongoing Iranian-European diplomatic engagement. Since May 8 when the US withdrew from the nuclear agreement with Iran, the talks with Europe, China and Russia have been underway, Iran’s foreign ministry spokesman Bahram Qasemi reiterated. Meanwhile on the same day, Iranian Deputy Foreign Minister Abbas Araqchi said that the new US sanctions against Iran will seriously affect oil prices and the entire Middle East. “I am not an expert on this. But I think it is obvious and everybody is predicting that if Iran is out of the market it would have serious effects on the market, including on oil prices,” the Iranian official said. According to Reuters, Brent crude oil prices rose to their highest since November 2014 on Monday ahead of US sanctions against Iran, the third-largest producer in the Organization of the Petroleum Exporting Countries (OPEC), that take effect next month. December Brent futures LCOc1 were last up 45 cents at $83.18 a barrel by 1343 GMT, having touching their highest in almost four years at $83.32. 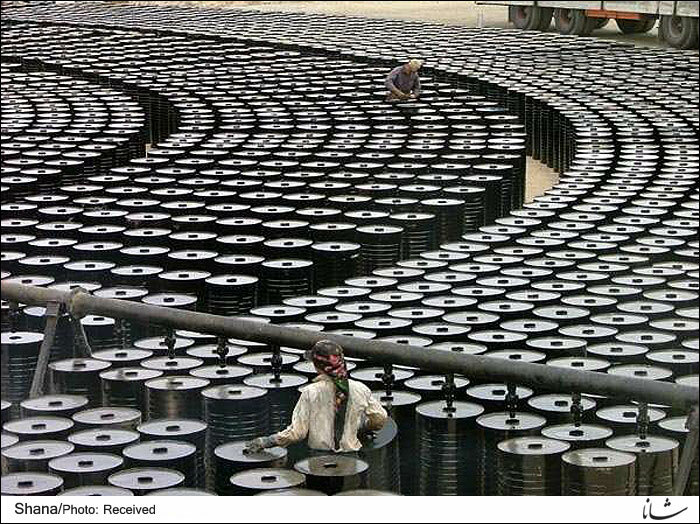 U.S. light crude futures CLc1 were up 17 cents at $73.42. ANZ bank said on Monday that “the market is eyeing oil prices at $100 per barrel”. Also, Iran has said it has no plans to cut its crude oil production amid mounting pressure from Washington to stifle the country’s exports by imposing fresh round of oil sanctions. The National Iranian Oil Company (NIOC) CEO Ali Kardor explicitly said his company, the sole producer of hydrocarbons in Iran, had no plans to reduce its output, adding that NIOC had access to all its oil revenues and witnessed an upward trend in its revenues. In another development, Austrian Ambassador to Iran, Stefan Scholz, noted on Monday (Oct. 1) that Iranians are entitled to benefit from the JCPOA, in the economic domain in particular. At the joint meeting of the members of Iranian Parliament’s National Security and Foreign Policy Commission with European Ambassadors to Tehran, the Austrian envoy stressed that removing sanctions will be main component of the nuclear deal. He said the European Union deeply regrets Washington’s decision to pull out of the landmark Iran nuclear deal and to impose unilateral sanctions against the country.